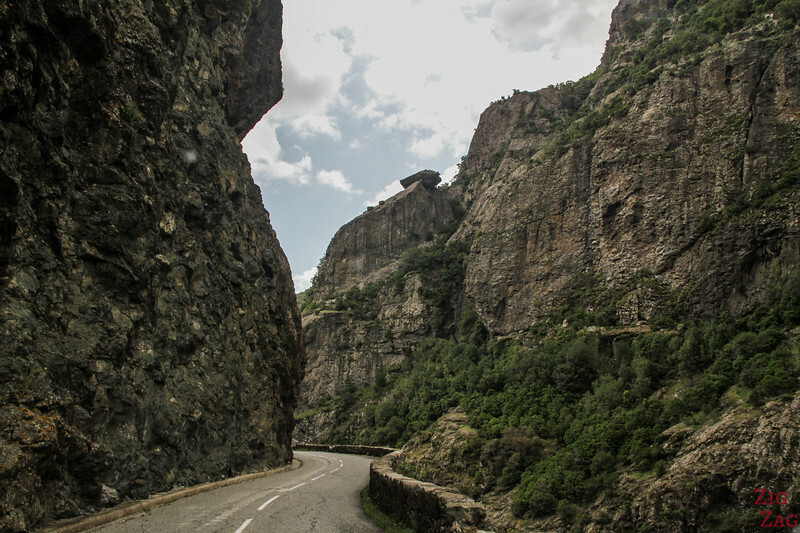 Corsica is a road trip paradise. But with high mountains on such a small territory, lots of roads are sinuous. 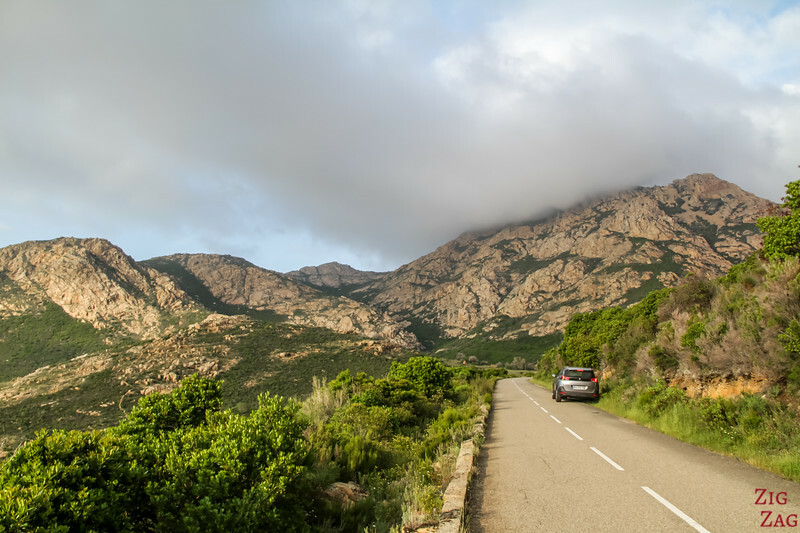 Below is my guide to help you rent a car in Corsica and get ready to be driving in Corsica with video and photos. Don't worry, it is not as difficult as some people write! 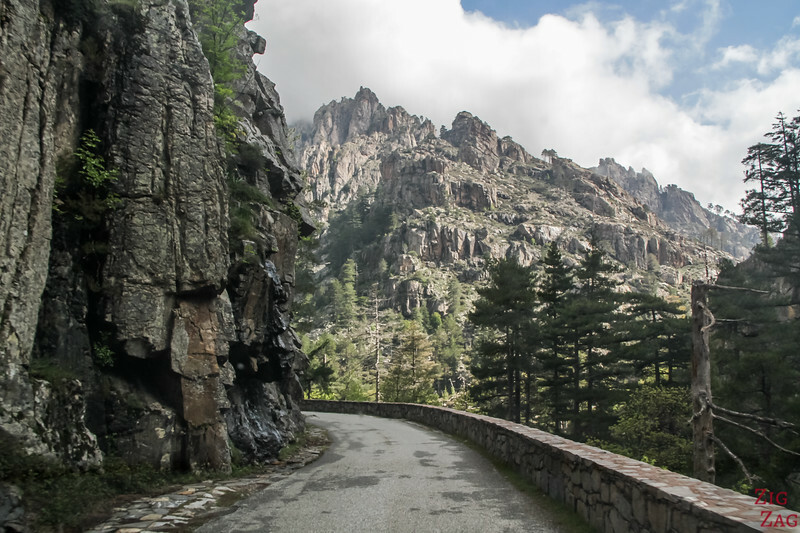 Road Conditions in Corsica - Is driving in Corsica Difficult? TAKE YOUR TIME - It sure is not a country where you will be driving at high speed, but who would like to with such beautiful landscapes! 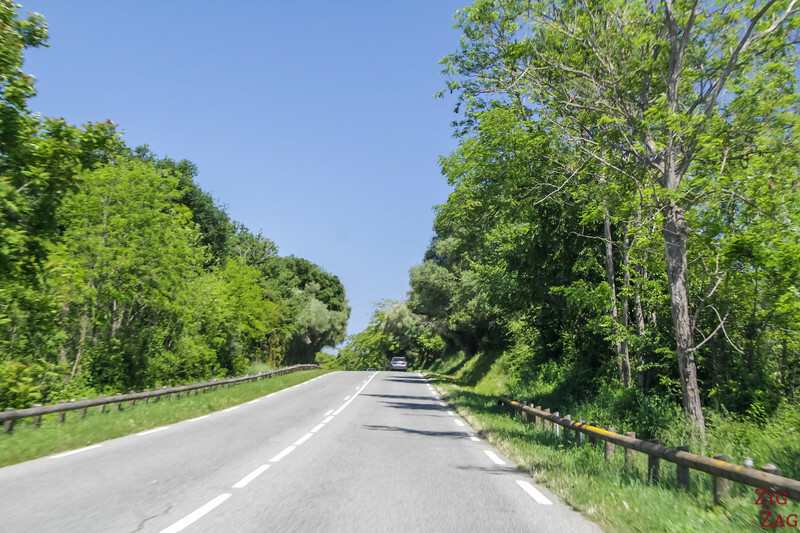 NARROW ROADS - Only a few specific roads and few kilometers on high traffic roads are very very narrow - avoid the craziest ones and take your time for the others. It will be ok.
More details further in the article. 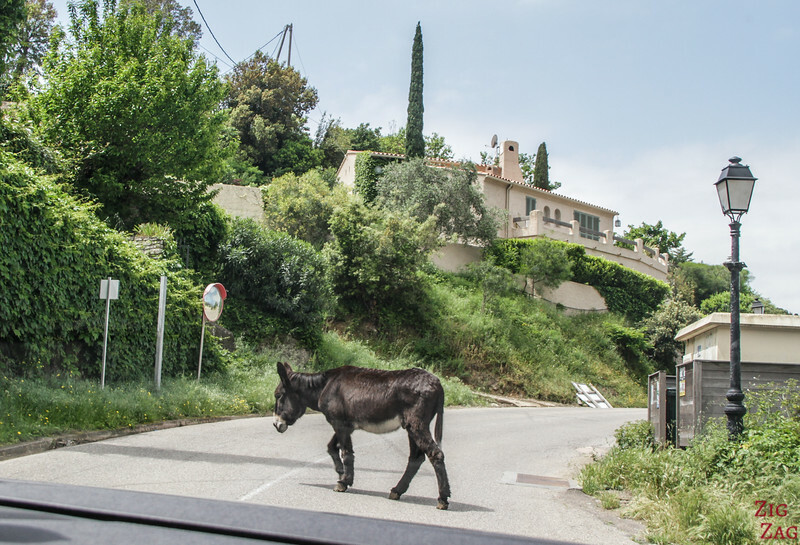 Below is my guide to help you rent your car in Corsica. or from all major town centers. 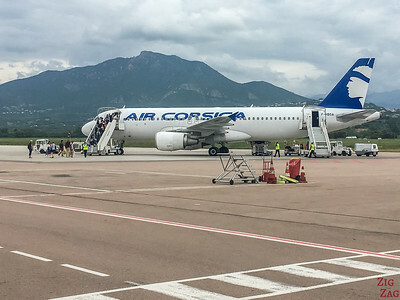 Most major international brands are available in Corsica. However it is an island so not all are present. And those are small airports with limited staff. So at each plane arrival you will have to queue a little to get your car. In any case, if traveling during Summer or school holidays, always book your car early! 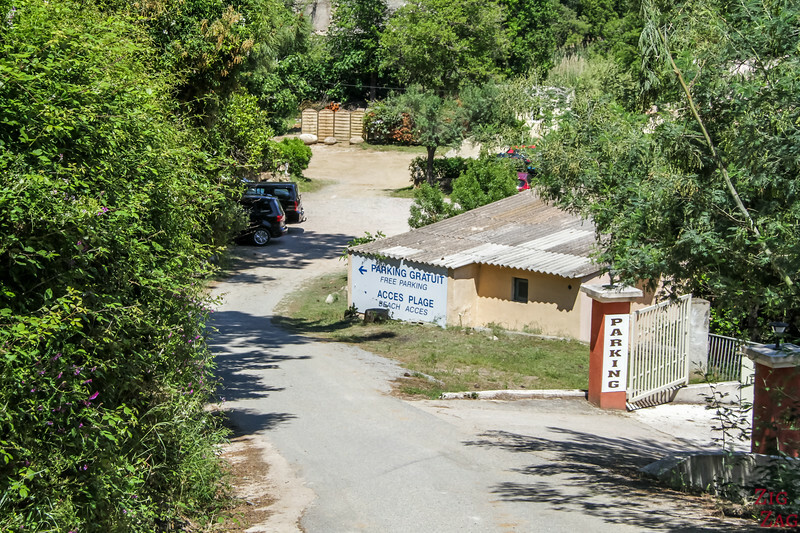 Car rental Corsica - Which Companies? I don't have a specific recommandation for a rental company in Corsica. There are no famous local ones which great records. I used Sixt from the Ajaccio airport and all went smoothly. 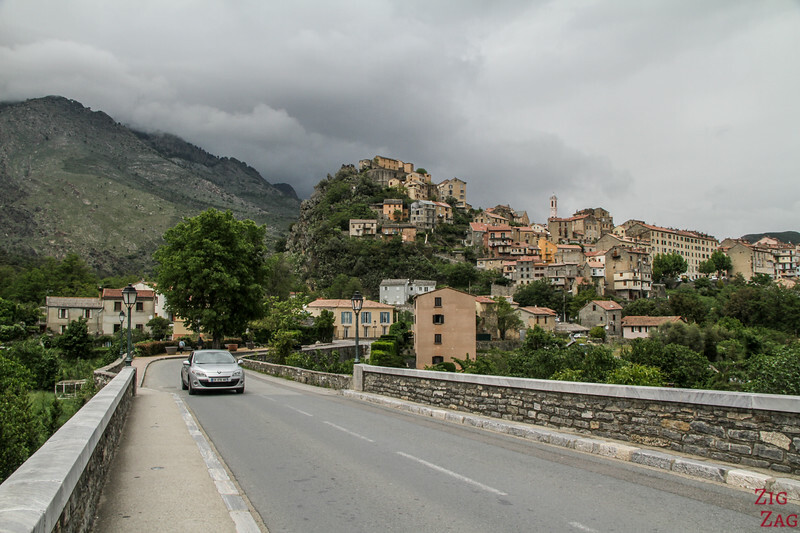 Renting a car Corsica - Which Type of Car? 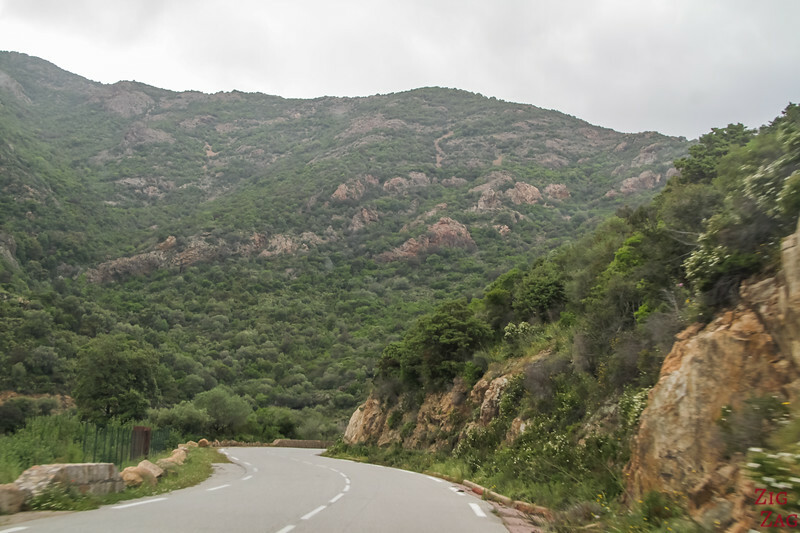 Most points of interest in Corsica are reachable by paved roads. Few isolated beaches are accessible only by dirt path. You could rent a 4WD but know that rental companies' insurances do not cover offroad driving. Insurance - no specific insurance to consider. This is pretty standard. Cleaning - Most company gives you a big warning that they may charge you with a cleaning if you bring a dirty car. Read the official conditions and they should say that 'normal' cleaning is included. So a little bit of sand should not be a problem. Photos - Like everywhere you rent a car, it is advised to take photos of scratches upon car pick up and return. Speed limits are well indicate in red circle. Most of the time you really don't need them because you can't really drive fast on those sinuous roads. 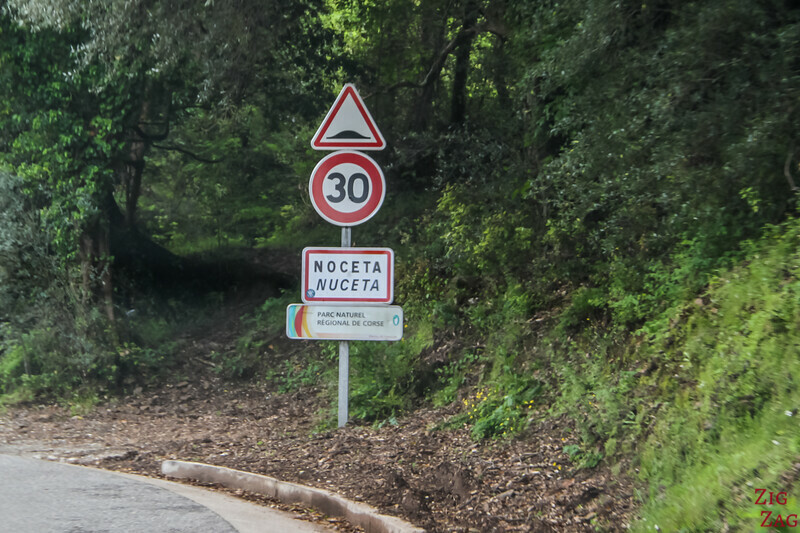 Road signs are quite clear and using the latin alphabet. 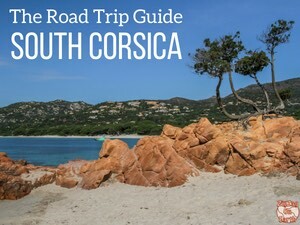 A specificity of Corsica is that name of locations will be written first in French and then in the local language Corsican. 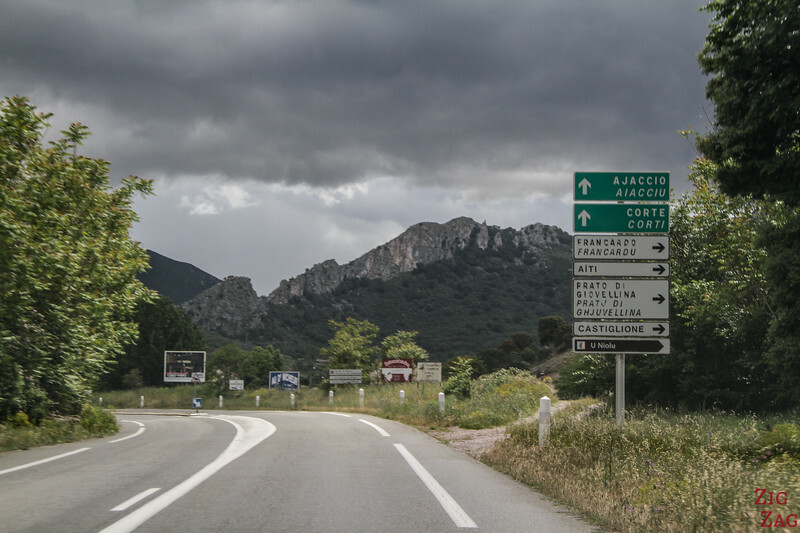 See in the picture below Ajaccio and then Ajacciu. Also you will see a lot of signs where the French name is hidden. 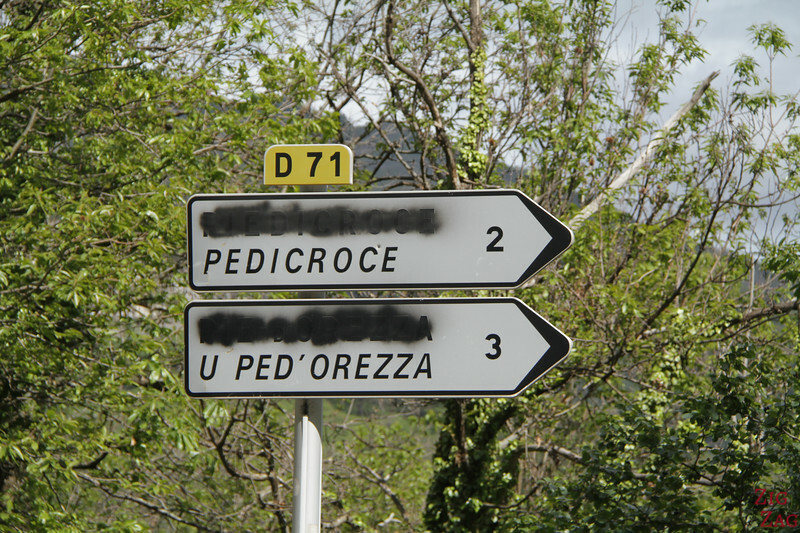 Some Corsican have very strong feelings towards becoming independant and promote the use of their local language. I strongly recommend the use of a GPS so that you can focus on the roads and on the scenery. Plus, with the roads that are not so wide, it is not always easy to turn around. With the GPS you should miss less turns! Ok. Now we are arriving at the big question everyone is wondering. 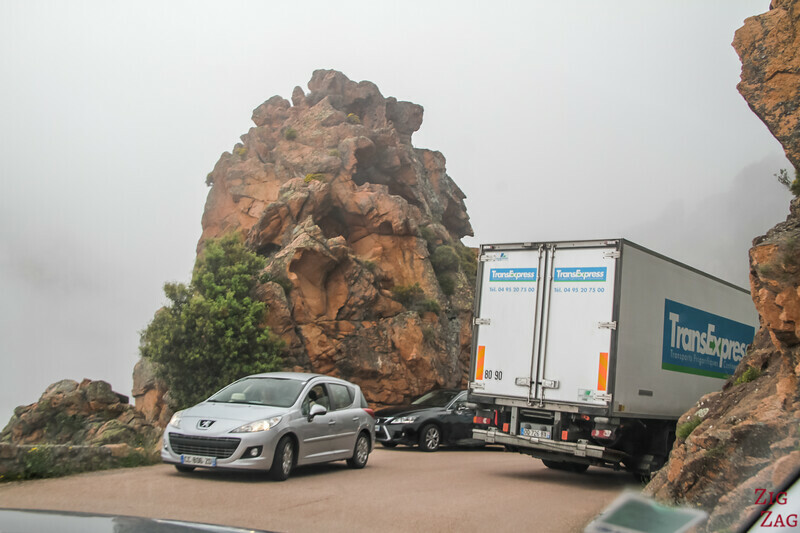 How difficult is it to drive in Corsica? You can read a lot of stories online of people who got scared. Actually there are only specific roads that are really difficult. Most roads are really ok. It is just that there is only one lane in each direction and they are very very sinuous. You keep turning and turning. But it reveals splendid scenery at each turn sometimes with the sea, sometimes with mountains. So it is actually quite enjoyable. This is far less boring than straight line. It slows you down and you really appreciate the land. My dad was ecstatic driving there. He thinks it is the best kind of driving. 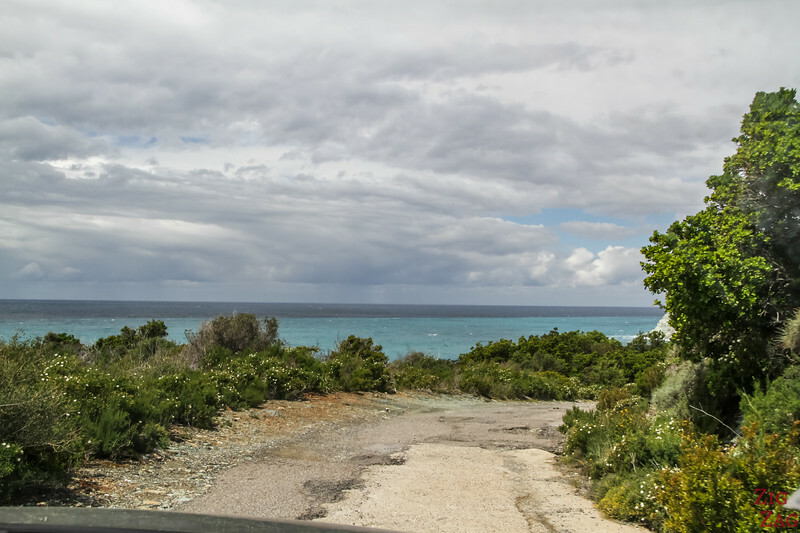 For a few locations such as at to get to Cauria or some isolated beaches, the road is paved but in really bad shape. So for not more than 5km, you might have to drive slowly to avoid the holes. But that is not really difficult, just longer. And if you really have to go inside one hole, because there are too many, always try to go sideway not frontal. Now let's talk about the few roads that scare people. They are mostly cut through the cliff or in canyons. In that case, they get really narrow with the emptiness on one side but you still have to cross path with incoming traffic. Your solution if you are scared: Take those roads early morning when the other tourists are sleeping late! 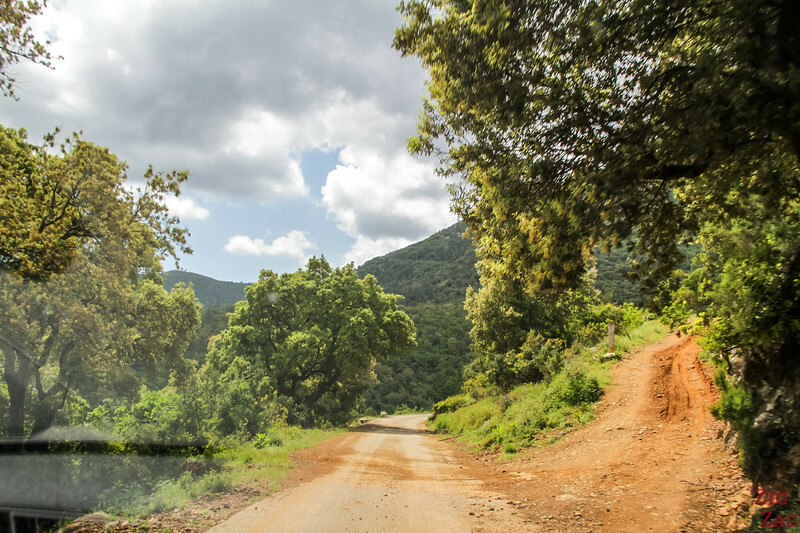 But there is one road I absolutely do not recommend driving if you are even a little scared: The Restonica Valley. That is a difficult drive and a popular destination. It gets really narrow very often and the road does not always have a railing. It is a beautiful drive, but not worth the scare. Be careful where you stop! I know that the landscapes are magnificent and you want to take pictures, but be reasonable where you stop so as not to block the traffic. Only once, did we decide to cut through the mountains to reach our next destination and I must admit that it was a bad idea. We ended up on a mountain road that was only one lane. Fortunately it was only for 3 km and not a touristy road so we had no issues. But I don't recommend trying to find shortcuts. 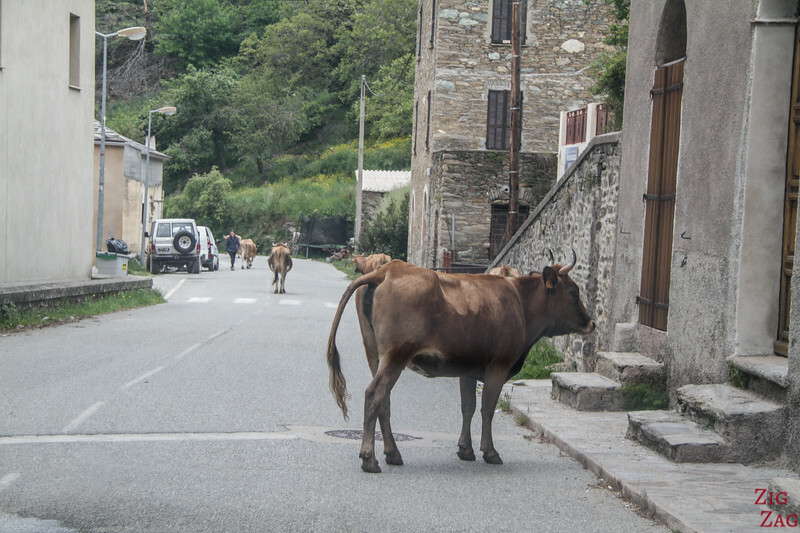 Driving in town and villages has no special difficulties. We were surprised by the amount of speed-bumps though. They really want you to respect the limit at 30km/h in villages. 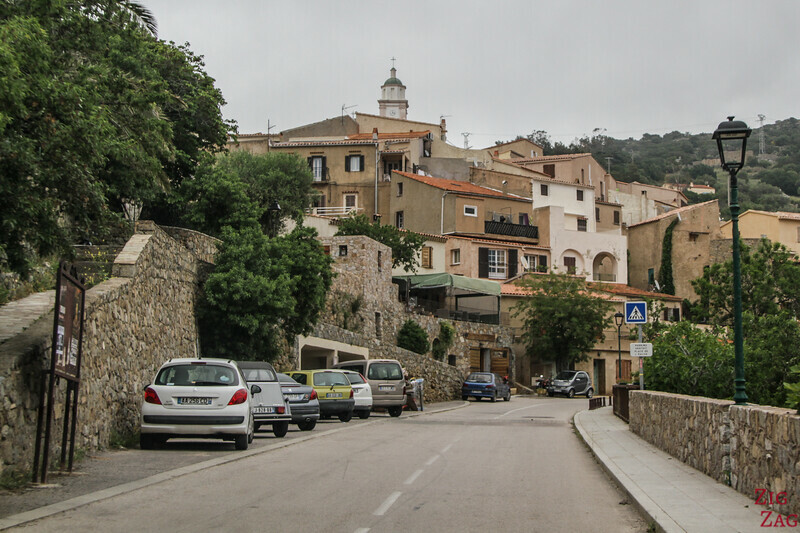 The oldest part of villages have anarrow streets that are not accessible by cars, so you park outside and explore on foot. 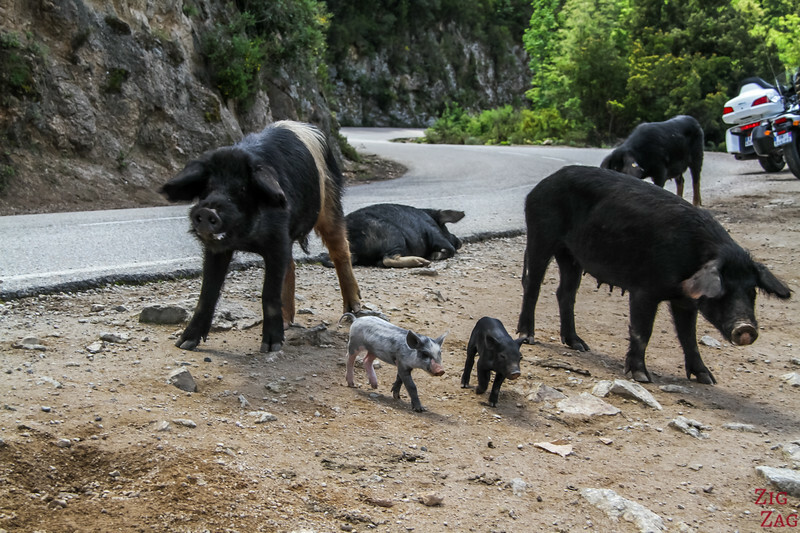 The main danger on the roads in Corsica are animals. You may turn and find yourself with a cow, a pig, a goat or a donkey in the middle. I am not kidding, they are everywhere, even on larger roads where you could not expect them. In Summer time parking can really become a pain. 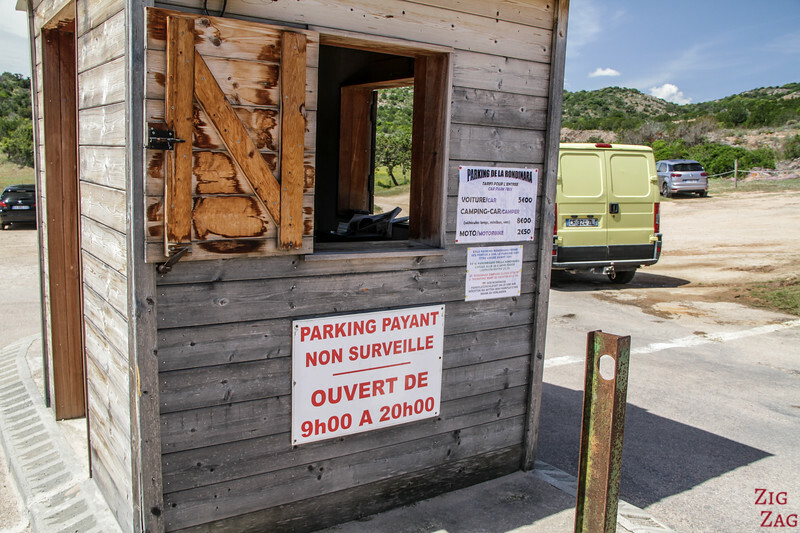 Small villages in the mountains really don't have the space to have large carparks and beaches are taken over so the carparks fill up quickly. Another solution to enjoy more Corsica in Summer is to take advantage of the morning. Most people head out around 11am or in the afternoon. If you do your exploration early morning and rest at home in the afternoon, you should enjoy it a lot more. At some beaches, when the free carpark is full, you can find some paid ones. They often belong to restaurants installed on the beach. You either have to pay a fee or eat/drink at the restaurant. I think it is fair enough since it is their land. 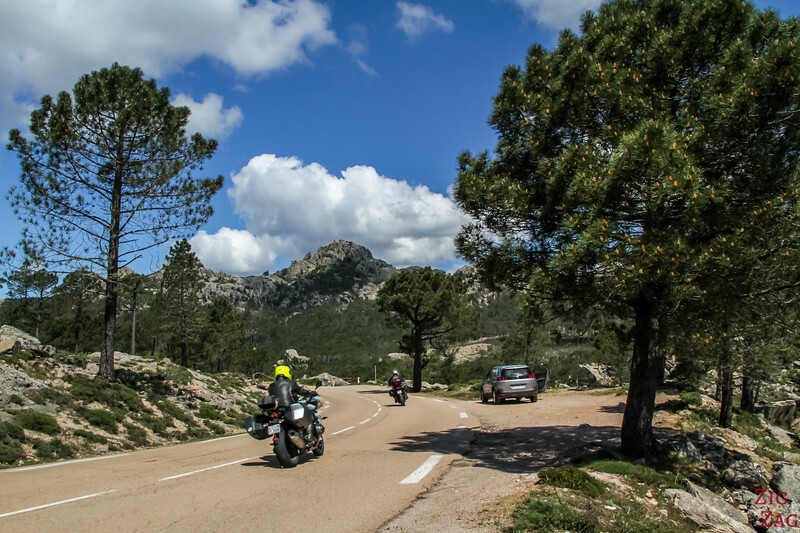 With those beautiful sinuous roads, Corsica is also paradise for motorbikes. They often travel in group. 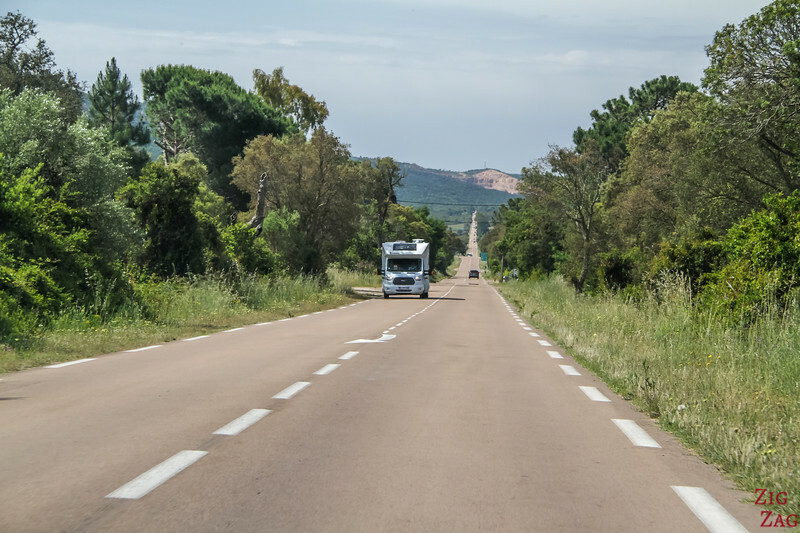 Slow down and squeeze to the right to let them overtake you so that you can keep enjoying your own road trip. 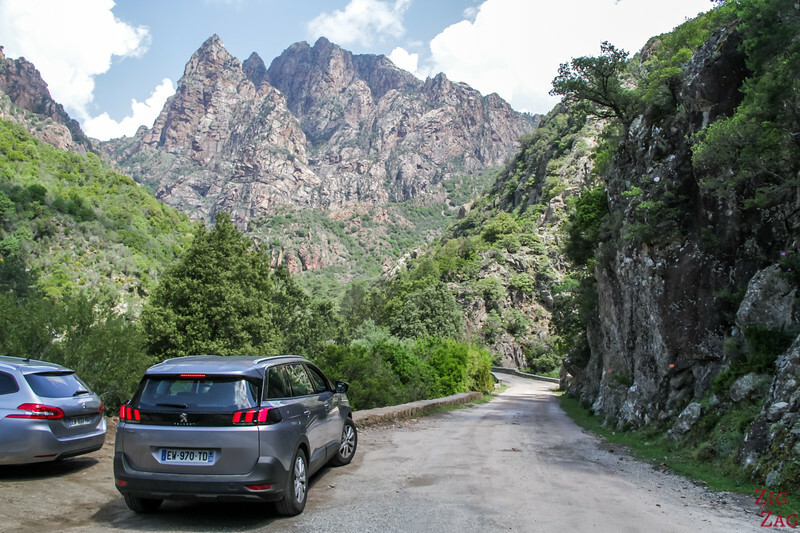 Are your ready to drive in Corsica? You can manage with any car, it is just more comfortable if you have a car that can stay in 3rd and have the flexibility to slow down and accelerate without having to switch gear all the time. This way you focus more on the scenery.